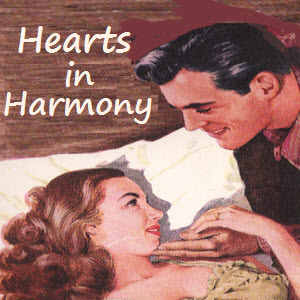 “Hearts in Harmony” was a five day a week soap opera syndicated in the mid-West from 1941 into the 1950s sponsored by grocery store chain, Kroger. It's the story of a poor young man, Steve Parker, who wants to be a composer and falls in love with a young beautiful singer named Penny from a wealthy family.. Drama and heartbreak follow and of course lots of music. A true dramatic soap opera serial.